Carolyn creates a large range of porcelain miniatures. Each one is hand painted in such fine detail that she uses a magnifying lens. She is well known for her cats, and she makes many other animal miniatures - including foxes, rabbits, bears, owls, bluebirds, mice, chickens and dolphins. Her range also includes a rabbit wedding with bridge & groom, frog princes, fairies, and pumpkin fairy houses. 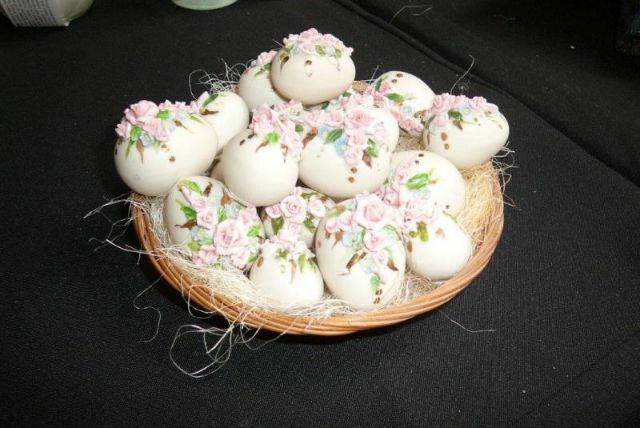 At Easter time, she also has porcelain easter eggs decorated with flowers. She creates delightful porcelain brooches. 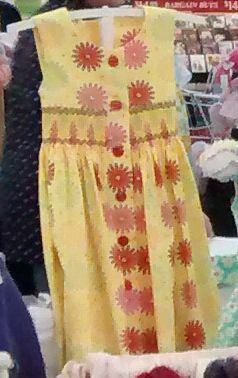 Carolyn also sells scented soy candles, some of which are in glass bowls, and hand-smocked dresses for little girls.